We all understand that making new friends as an adult is HARD – especially in a city like London. While there is no shortage of things to do or new people to meet from all over the world, it can often feel like you are surrounded by people yet struggling to make real connections. In fact, a recent BBC survey has shown that London is the loneliest city in Europe - and young people are the loneliest of the bunch. It makes sense – your early twenties are a time of transition. You are likely moving out on your own, to a new city, entering the workforce, starting or graduating from Uni, finding your identity, and through that, building new friendships. That's a whole lot of change! Drink Shop Do is an eclectic all-day cafe with a big twist...you can also enjoy a variety of craft classes (yoga life drawing anyone? 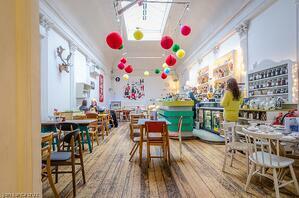 ), quizzes, dance classes, bottomless brunch and more at this cool venue. You can just pop along whenever you fancy, and the evening classes are great to meet people too. 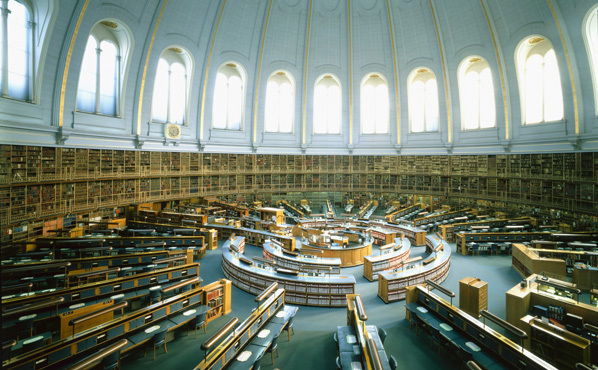 *Whilst some workshops and events are free, most range from £5-£50. Obby is a great platform because it allows you to choose from thousands of sociable workshops and classes all over London that are most suitable for you. You can do anything from pottery to salsa and piano to Spanish! *Classes and workshops can range from anywhere between £5-£500. There is something to suit everyone. Paint Jam is an art workshop and party in o ne! Their pop-up art studios are in some of the most unexpected spaces in London with lots of immersive art-making experiences which combine art, live music and drinks so it’s a great way to meet someone new! 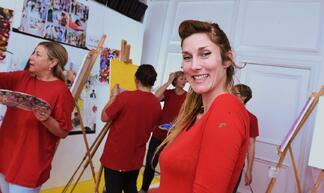 *Workshops and events start from around £15. 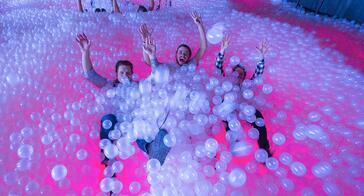 What’s better than getting to be a big kid again at an adult ball pit with one million balls? Our office team recently had the opportunity to experience this super fun venue in Shoreditch, and lots of retro cocktails and nostalgic hedonism was involved! Ballie Ballerson also runs regular speed dating events - which is an original way to meet that potential special someone. 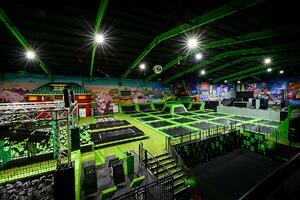 If you’re in the mood for a healthy workout and a lot of fun, check out London’s biggest trampoline park Flipout. With Flip Fit exercise classes and After Dark party sessions (we’re talking smoke machines, light shows and supersound systems) - this venue offers a great sense of friendly community, whether you’re in a group or flying solo. *Ticket prices start from £8.95. 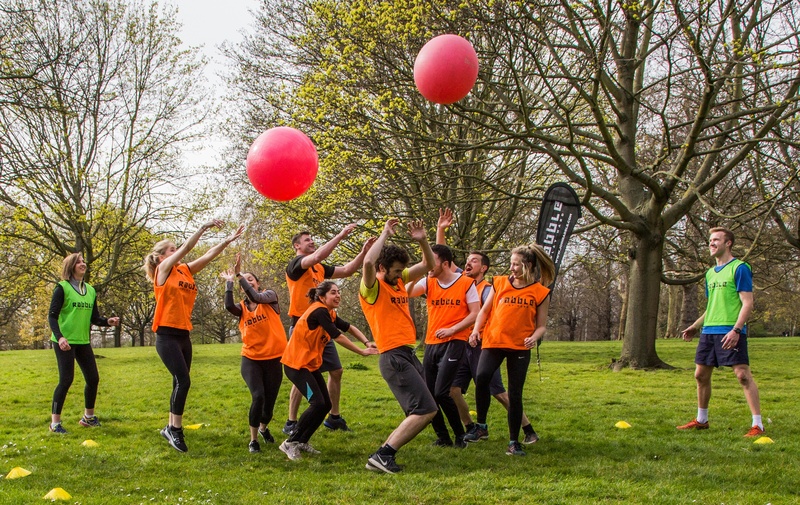 Hailed as the largest ‘Social Ping Pong Club’ in Europe, Bounce is a whole lot of fun - and can be enjoyed in groups or a friendly social environment to meet others over a pint. 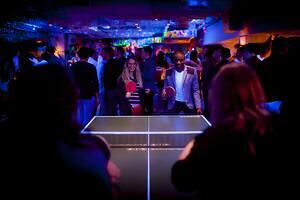 So if you’re by yourself, feel free to walk-in and break the ice by challenging someone to a game of ping pong! One of the easiest ways to make friends is to join an online social community. 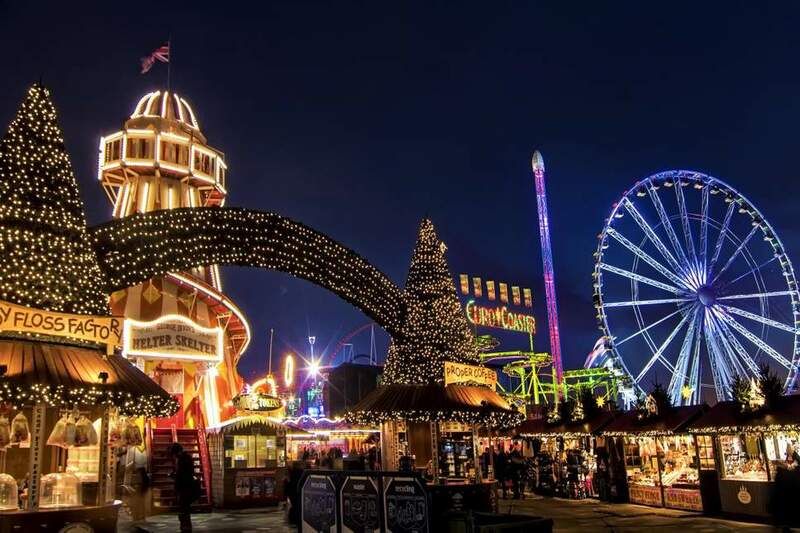 Citysocializer helps you to find things to do in London, whether you’re a newbie or not! Simply sign up, see what socials are on, meet up, and make new friends - it’s very similar to a Facebook group as you can share photos, updates and chat to people so you've broken the ice before you’ve even attended an event. It’s as hassle-free as that! Want to learn to cook or train for a marathon and make connections at the same time? Awesome! 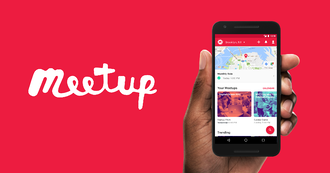 With the Meetup app you can join groups based on where you live and what you’re interested in - you can even create your own events if you don’t want to wait around. There are LOTS of events with like-minded people, including LGBTQI+ groups and activities. There really is something for everyone! Get fit. Get social. Have fun - is Joinrabble’s motto. This is perfect if you want to enjoy fun social team games and stay fit at the same time. 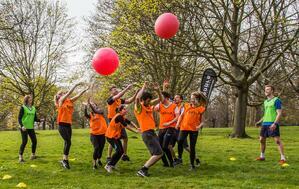 British Bulldog to Capture the Flag to Dodgeball and Frisbee - there is so much to choose from! Enjoy a game on the field and then a trip to the pub after. It’s a super sociable crowd, and their games are open to everyone, no matter your experience! Are you a passionate foodie looking to connect with other like-minded food enthusiasts all over London? With supper clubs like EatWith you can make friends over delicious food, dinner parties and a variety of cooking classes. Simply select your favourite food experience and book a date that works for you and let the culinary magic happen! Connecting with others is what makes any city truly feel like home. Let us know (below) if you've made new connections at any of the venues we've suggested. We'd love to hear about it! favourite Christmas cocktail recipes below!